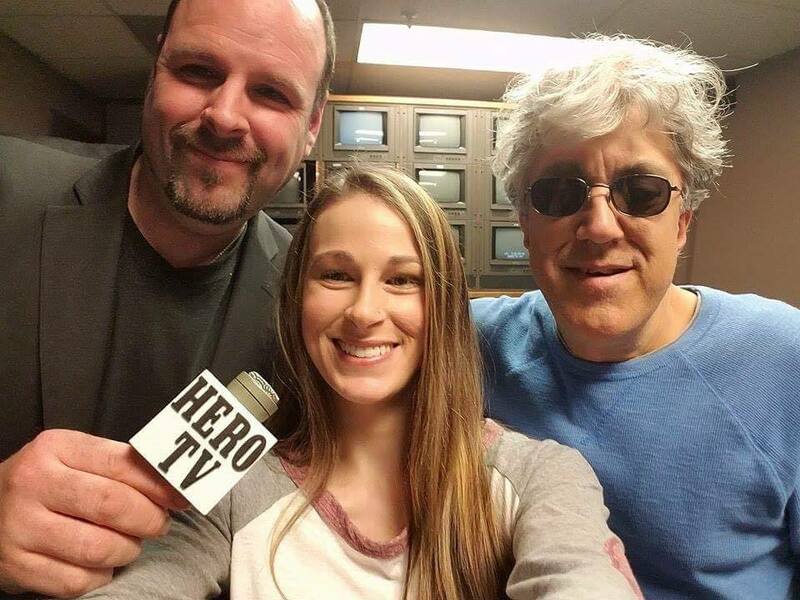 The fifth episode of our HeroTV show is airing on Comcast and is also available on our HeroTV YouTube channel. You can find that episode at HeroTV 2017: Episode 5 Carley Cooprider. Carley is a very special you lady. She talks candidly about her childhood, her time as a ref in pro wrestling, her new career path as a nurse, her battle with Lyme Disease and more. Our paths had crossed prior to this interview, but I never really knew Carley until PL Myers and I interviewed her. Within minutes of talking to her before the interview began, I was so impressed with her composure, courage and strength. She has overcome a lot in life and is still crushing the obstacles. Her message is so positive, so inspirational. After the interview, I drove home thinking about Carley and HeroTV. PL always says HeroTV is about the everyday heroes. Carley is a hero in every sense of the word. She is a true unsung hero. I hope HeroTV shines a little light on her life and accomplishments. I hope many people are introduced to this special person. She has a wonderful message for life. This isn't just lip service. She has and is living courageously and admirably. My respect goes to Carley. I am proud that she is a new friend I have met through HeroTV. It's not every day that I meet a real hero. PL Myers, Carley Cooprider and me in Elmhurst, IL-July 2017. Carley is a great kid, and a tough kid too. Very proud of her!